How "too shea-mless" all got started... I'm a heart fanatic and this one is front and center. 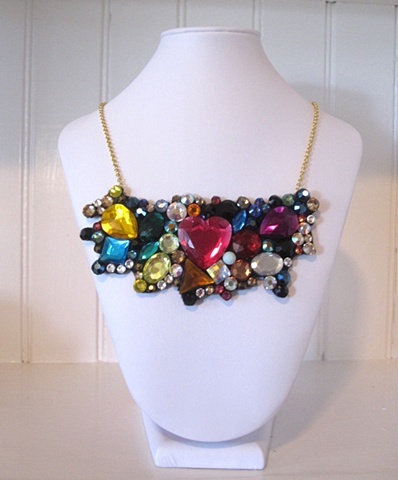 Framed by a plethora of swarovski stones, what could be better than hearts & sparkles? Hand made with love. Truly ONE of a kind.